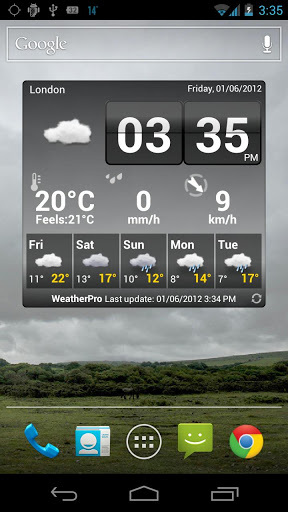 WeatherPro Premium 3.4 apk is user voted the best android weather app and most accurate.v3.4 update features a completely new design with more additions and improvements. 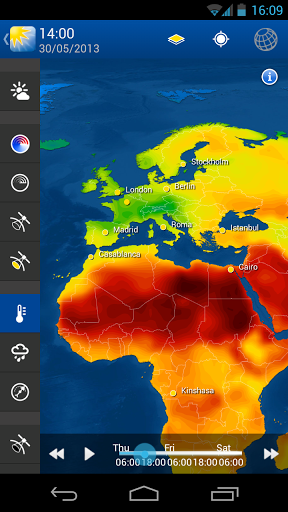 •Stunning, high resolution weather maps with multiple layers of advanced weather information including precipitation type radar in Europe, radar forecasts, heat maps, lightning strikes and cloud cover forecasts. •Ski Weather for over 900 resorts in 17 countries and Beach Weather with UV Index and water temperatures for the Mediterranean, Caribbean and other popular holiday destinations. Since its inception in 1986, MeteoGroup has grown into a global weather business - the new brand celebrates the company behind WeatherPro as it is today. Learn more at www.meteogroup.com/brand. •Worldwide alerts customisable to show levels 2 and 3, level 3 only or no warnings. •Moon phases now included on weather symbols; Europe-Radar covers Spain and Scandinavia; and there have been small bug fixes and optimisations.